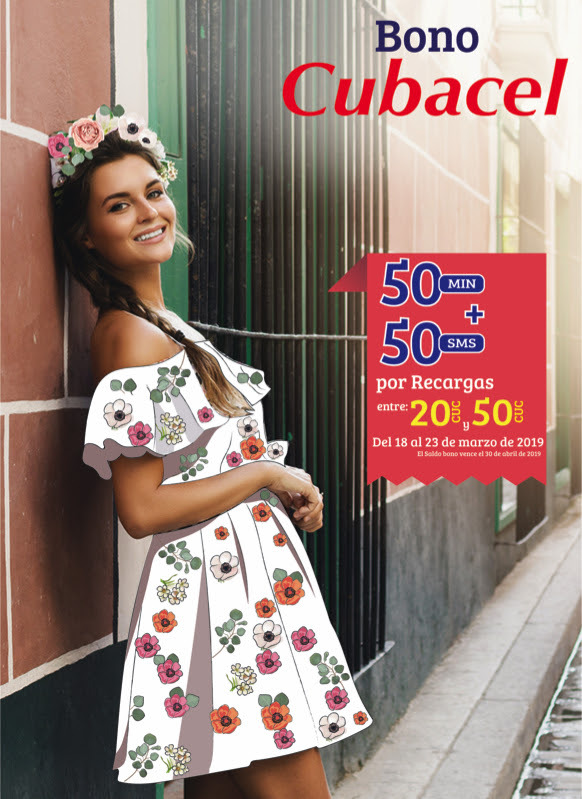 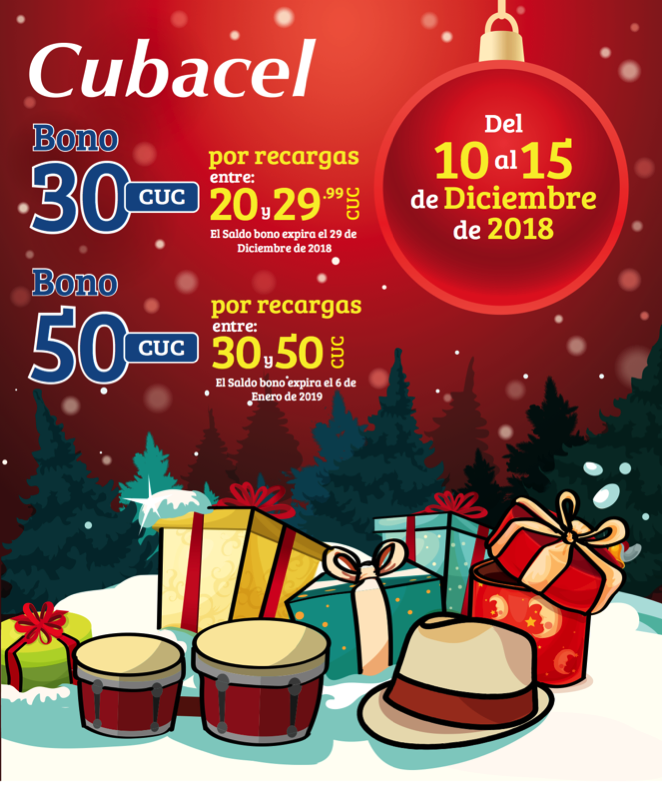 Send recharge to your family and friends in Cuba and they will receive additional bonus of 50 free minutes and 50 free sms. 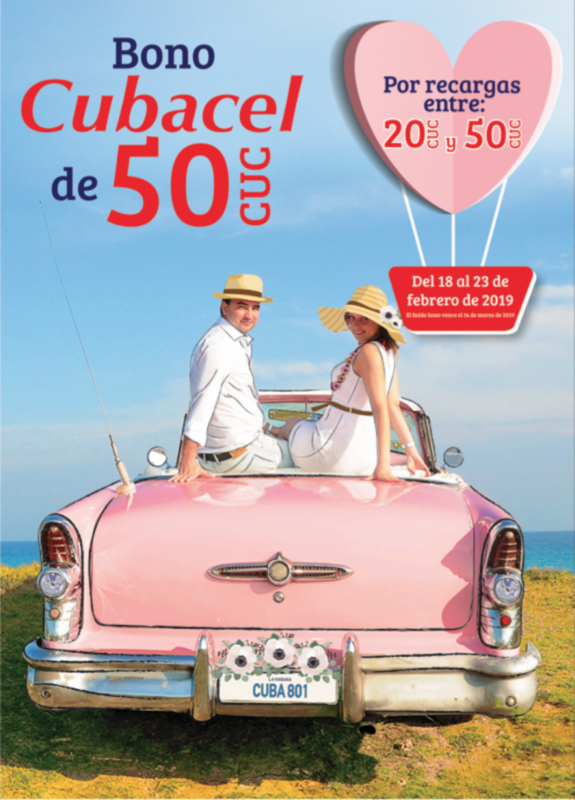 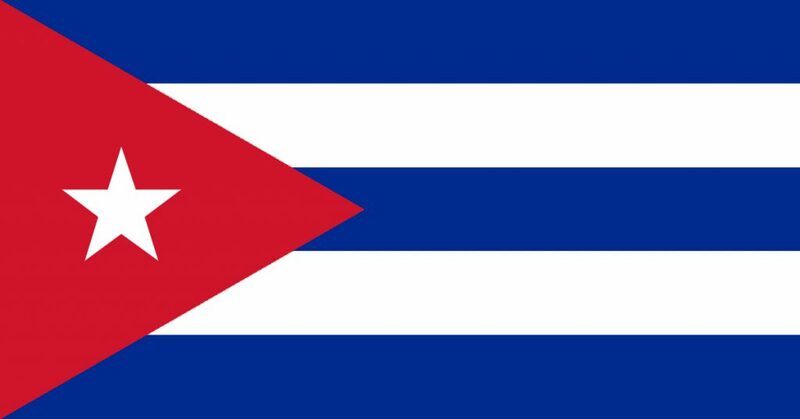 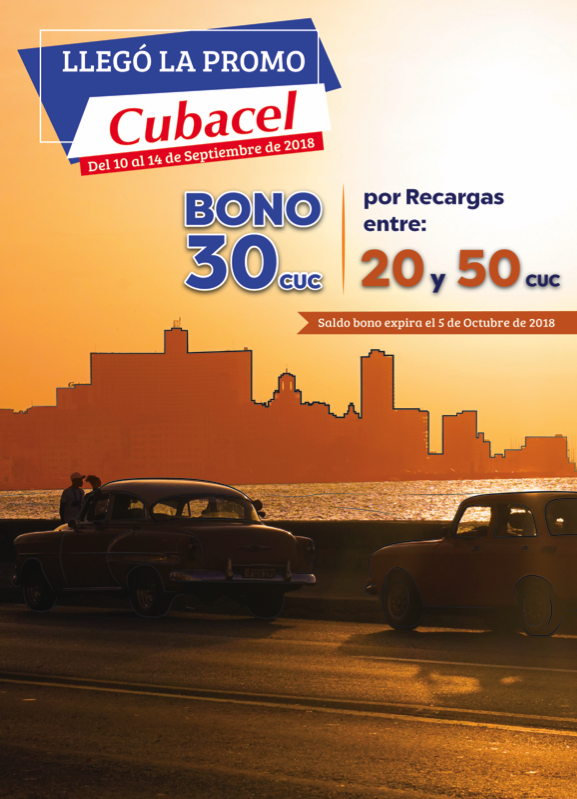 Send top-up to your family and friends in Cuba and they will receive additional 30 and 50 CUC. 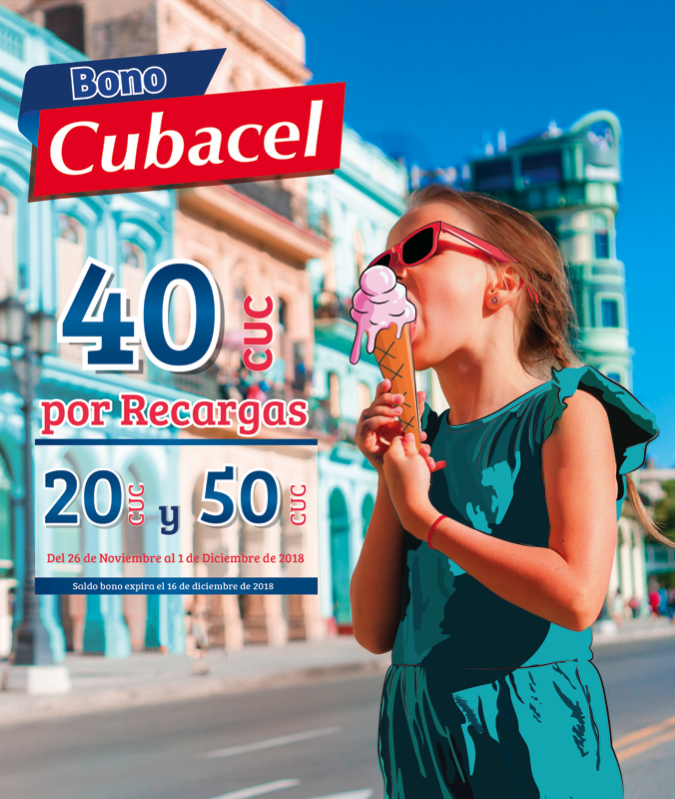 Send top-up to your family and friends in Cuba and they will receive additional 40 CUC. 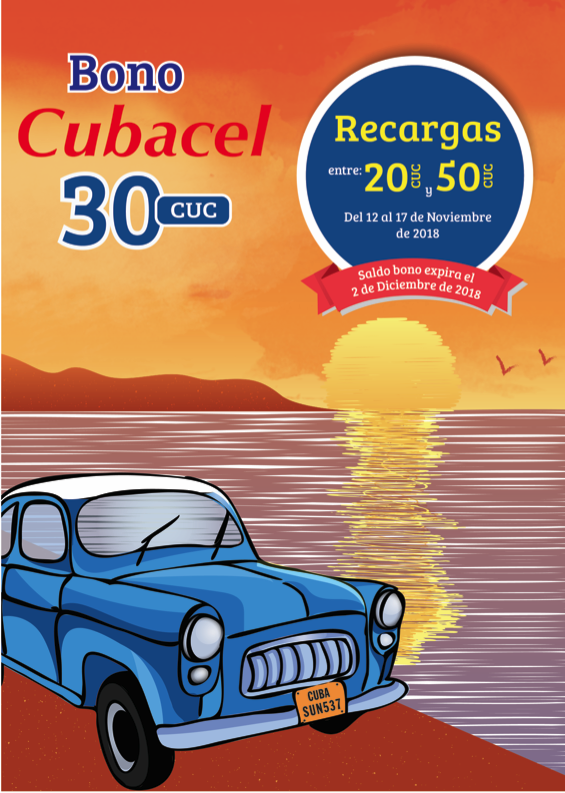 Send top-up to your family and friends in Cuba and they will receive additional 30 CUC and 50 CUC.